Retro style bobble hat which can be worn with a turn up or as a slouch style hat. Double layer knit with a two tone pom pom. Logo can be embroidered on the turn up of the hat up to a size of approximately 120 x 50mm. 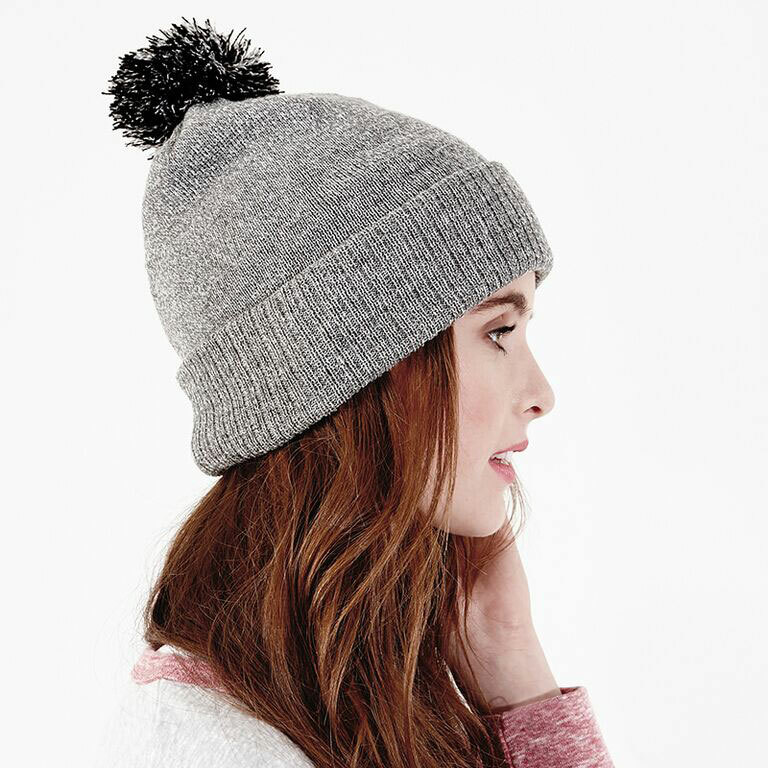 Bobble hats are a great choice if you want a quirky look or if the use suits a bobble hat. 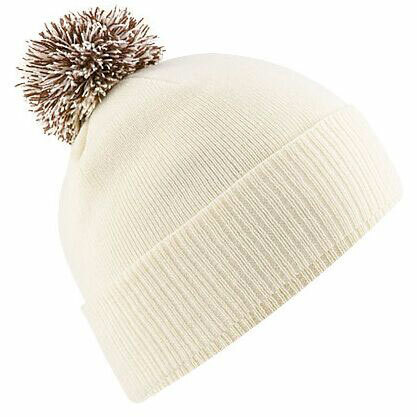 For example we have supplied bobble hats for school skiing trips, streetwear brands and for football club merchandise.